One of the band’s greatest strengths is its vocal abilities. Toyzz is lucky to have two very talented lead singers in Billy and Charley. Singing since they started playing guitar, both leads have developed healthy and powerful vocal ranges that allow them to cover a variety of different artists. Not only can Billy and Charley sing lead, but both provide strong harmony vocals as well. (Charley “pitchmeister” Whyde is the best harmony singer this side of the Mississippi!) Barry adds a third harmony that really puts the icing on the cake. 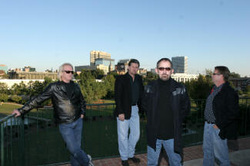 Toyzz covers a variety of music, but specializes in the rock and dance music of the ’70s and ’80s.